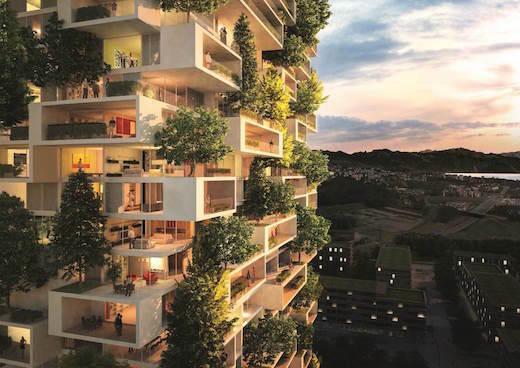 The Italian architect Stefano Boeri has been given a go ahead to create a “vertical forest” apartment building to be constructed in Lausanne, Switzerland. The innovative building will have trees planted on every level, while it will also feature a number of sustainable technologies, such as solar power and a rainwater collection system. 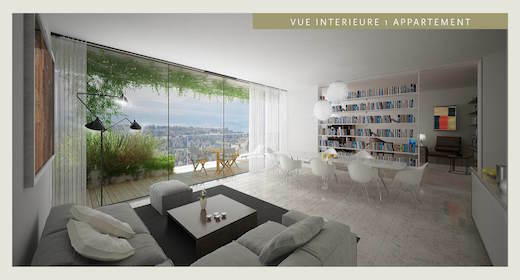 The building is called Cedar Trees Tower (Original: “La Tour des Cedres”) and the concept is very similar to Boeri’s so-called Bosco Verticale, which he introduced a few years ago. The Cedar Trees Tower will be 383 ft (117 m) high, and it will feature more than 32,291 sq ft (3,000 sq m) of greenery. The latter will include 100 cedar trees, 6,000 shrubs, and 18,000 plants, some of which will be indigenous to the area. The mixed-use tower will offer 36 floors of luxury apartments, as well as office spaces, and a retail center measuring 53,819 sq ft (5,000 sq m). 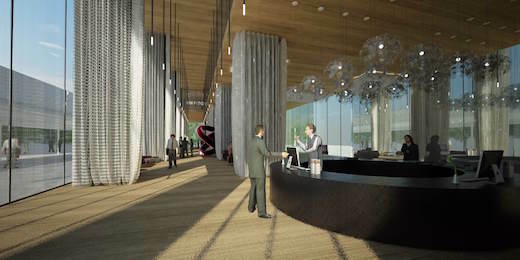 A restaurant offering a panoramic view of the surrounding area will be located on the top floor. 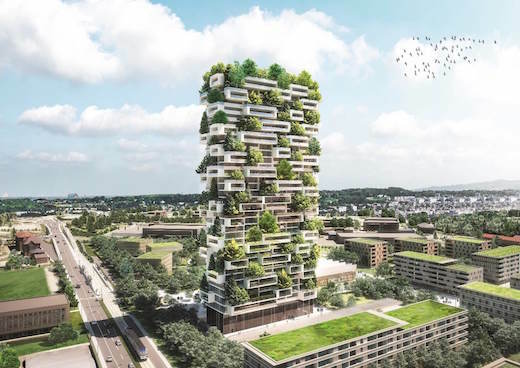 The tower will be made of concrete, and the trees will also be planted in concrete planters. The planters will be designed by the engineering firm BuroHappold, and they will be prefabricated units, which will be connected directly to the building’s reinforced concrete frame. As for the sustainable technologies, the Cedar Trees Tower will feature a solar panel array, as well as ground source heat pumps and a rainwater catchment system. These systems will not be sufficient to make the tower an off-the-grid structure, but will certainly offset the amount of energy needed for the building to operate. Construction is set to being in 2017.